We’re a team of volunteers who work hard to put on the TEDxLeamingtonSpa event and uphold TED’s ethos and levels of quality. With two sell out events and a third on the way this year, we’ve inspired over 2 million people so far (which is rising by the day). Driven primarily by a need to spark deep discussion and connection, we seek out the community’s thought leaders to showcase. You can read the full journey that our team went on in order to deliver last year’s event here. 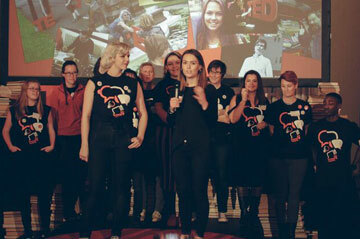 How can I join the TEDx Team?